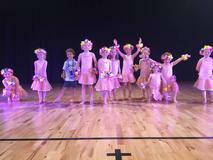 Dance is FUN & Awesome for kids' FITNESS! If you have high energy kids, or children you want to get into fun exercise or help grow in confidence then you'll love these classes - Jazz dance and Hip Hop dance moves, takes a lot of energy and we keep them moving! Our classes will help boost your children's fitness, help their confidence while giving them the skills to bring out the latest dance moves. The movement skills they gain are ones that they'll keep for life. We like to keep it fun but work on focusing the children to improve their dance and co-ordination! We start classes with a warm up designed to increase fitness levels and flexibility and strength, then move onto a step by step dance routine where we challenge them with new moves, rhythms and patterns. 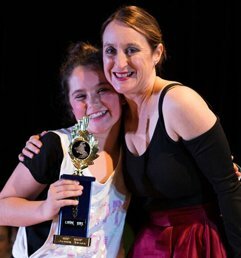 We build on their existing skills and get the kids developing new ones regardless of their existing abilities, one of the many great things about dance is that a wide range of skill levels can bring children together as one unit. Over the course of a term you will see your child develop movement, rhythm and team work skills as well as seeing their confidence grow with their new found talents. Both boys and girls are welcome to all of our child classes and will all work together on their moves - you'll be impressed by what they can achieve. VALUES: At Latin Fire we offer children a way to express themselves and learn dance in a fun, safe environment, as well as making new friends & growing in confidence! DRESS: Children with long hair are to have their hair tied back. Please wear your Latin Fire t-shirt with leggings, shorts or tights. PERFORMANCES: We have 2 shows per year (Mid year & Christmas) plus various performance opportunities throughout the year! PRACTISE: We encourage students to practise their moves they learn at class at home! And post practices on the Latin Fire/Dance Revolutions Kids facebook page! DRINK: Please bring a water bottle to classes. 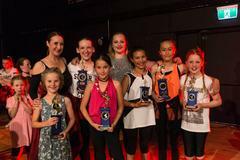 DANCE FEES: Fees are to be paid at the beginning of the term to Latin Fire Dance Academy: ANZ 060807 0151248-00. Please note; Ages for these classes are indications only! (10% discount for more than 1 family member at the studio). 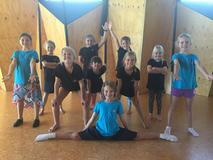 The Mt Pleasant Classes are also very handy for people in Heathcote, Sumner, Redcliffs, Lyttelton, Woolston, Opawa & New Brighton!